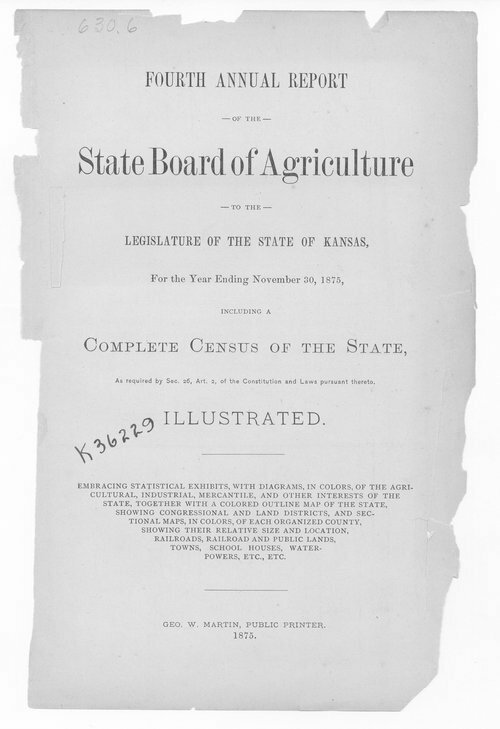 This annual report from the Kansas State Board of Agriculture includes information on livestock and other agricultural topics. A subject of note is a report on the Rocky Mountain locust invasion. Also covered are county statistics for population, acreages, productions, live stock, industry,and assessed valuation of property. State statistics, crop and livestock statistics are also included.